A documentary profiling a 200 km journey by the Xeni Gwet'in is screening at the Vancouver International Film Festival, a year after a nearly fatal accident. A documentary profiling a 200 km journey by horse and wagon is screening at the Vancouver International Film Festival (VIFF), a year after a nearly fatal accident. 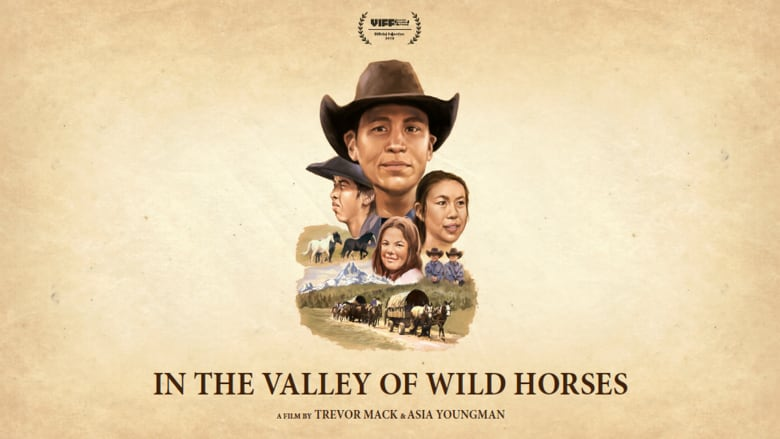 Co-Directors Trevor Mack and Asia Youngman's In The Valley of Wild Horses follows Chief Jimmy Lulua and the Xeni Gwet'in First Nation on their eight day trip from their home in the Nemiah Valley to the Williams Lake Stampede. For Mack the film holds special significance, having always wanted to shoot a movie in the area he was raised in and hearing old stories about the journey growing up. With modern transportation replacing horses and wagons 60 years ago, the concept of a convoy was no longer needed and the journey as told in the stories of old ceased to exist. This new generation of trips was introduced in 2008 by Chief Lulua as a way to offer land-based healing for youth and to honour their ancestors. In an interview with Stephen Quinn during CBC's The Early Edition, Mack says the journey is better than anything he could have dreamt. 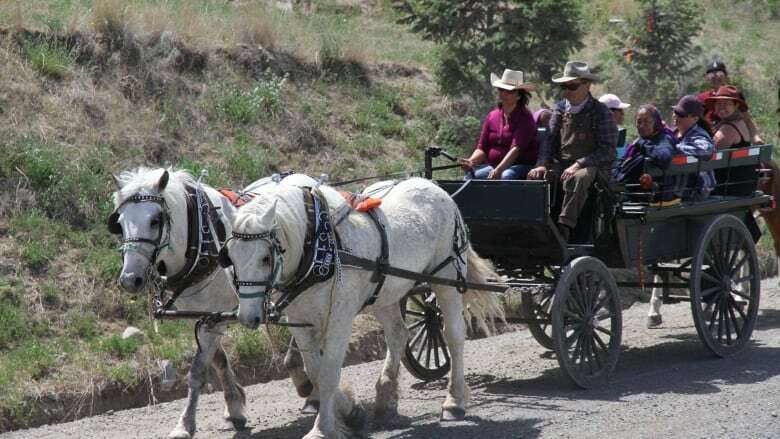 The documentary's release comes just one year after a horse-drawn wagon overturned on the annual trip. Five people were injured when the carriage lost control, sending them tumbling 15 metres down an embankment. Two of the horses had to be put down. "In the documentary, we showcase and give our respects to the events that occur," Mack said. In The Valley of Wild Horses made its world premiere at VIFF on Monday and is screening again on Wednesday. "I cry almost every time," said Mack. "We had around 50 people from the community come down. You could hear people noticing their friends and family on the big screen in front of everybody. That's why I do it." "I'm kind of living my dream, where I'm documenting my own people, showing the the best of my people to the world in a positive, defiant manner and I can't be happier." For Youngman, "a huge part of [the film] was representation, especially for Indigenous people." "I hope people can learn a little bit about different cultures and different First Nations groups in B.C," she told Daybreak Kamloops host Shelley Joyce In an interview.